Increase your passionate vibrant ‘yes’ for life through movement, music, contact and verbal exercises. 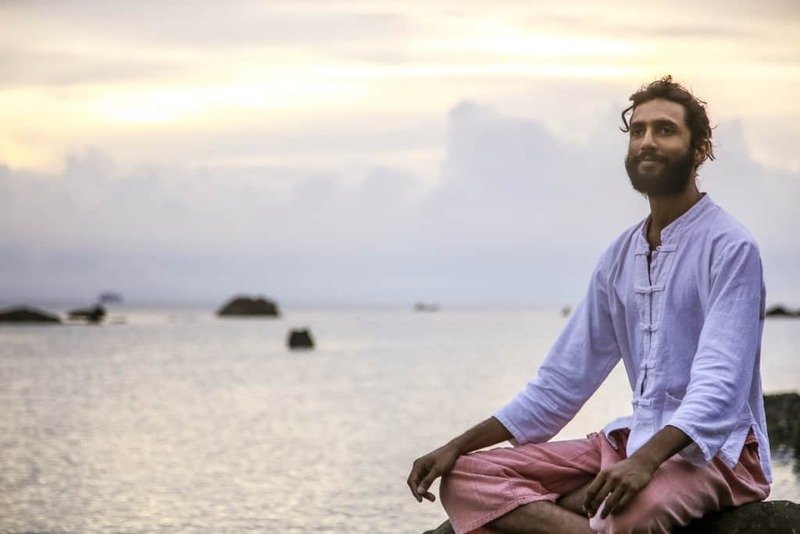 Reconnect to your inner knowing in meditation and stillness. Gain clarity in your connections and communication. Find the grounded still point of presence within yourself. Expand your consciousness and capacity to give and receive Love. This is the most ideal base for anyone wishing to explore a Tantric path or deepen their experiences of Tantra. The Intensive is open to all genders and sexual orientation over 18. During the past year Renetsu’s teaching has moved to another level, deepening even further. Whilst in New Zealand she noticed her workshops were taking people to a newer understanding of themselves, with empowerment and techniques to live a fuller, more open and vibrant expression of who they authentically are. She often hears how people have worked to open their hearts, only to find they draw towards them situations that cause them to shut down and armouring to re-occur. She has developed, and successfully taught, a way to adjust the holding of open hearted energy which provides safety, radiance and connection. This she will share with you during this Intensive. This Intensive contains elements from her ConSensual Contact work as well as deeper more expansive work on levels of connection within yourself and how to connect safely from that place with others and the world around you. For her safety is a big issue. Everyone is encouraged to feel into what is right for them and choose what level of participation they feel safe to engage in. Everything is full consensual and clothed in this Intensive. It is the most ideal base for anyone wishing to explore a Tantric path or deepen their experiences of Tantra. She has been teaching since the late 90’s and knows that there is a level of almost magical healing and understanding that occurs naturally when a person feels safe and well held. She is an energy worker with the ability to enable shifts of consciousness to occur in anyone who is open to receive them. When she prepares each well held session, she lay down complex energy lines which invite people to have numerous opportunities to release anything that restricts them and holds them back in life. This enables participants to experience what is right for their needs at that time and can lead to very different gifts within the group. Her sessions include movement and stillness, music and silence, mostly nonverbal but some verbal exercises, clear guidance throughout with space for self expression and free movement. Everything she offers is an invitation to listen to what feels right for you and to do only what feels right for you. The Awakening Hall will be open from 9:00am for you to arrive and be ready to begin at 9:30 each day. We will have lunch breaks at suitable times for our process and the afternoon sessions finish at different times around 6:30. On the final day I encourage us all to have dinner together. More details will be available shortly before the Intensive begins. We invite you not to make social commitments during this Intensive.